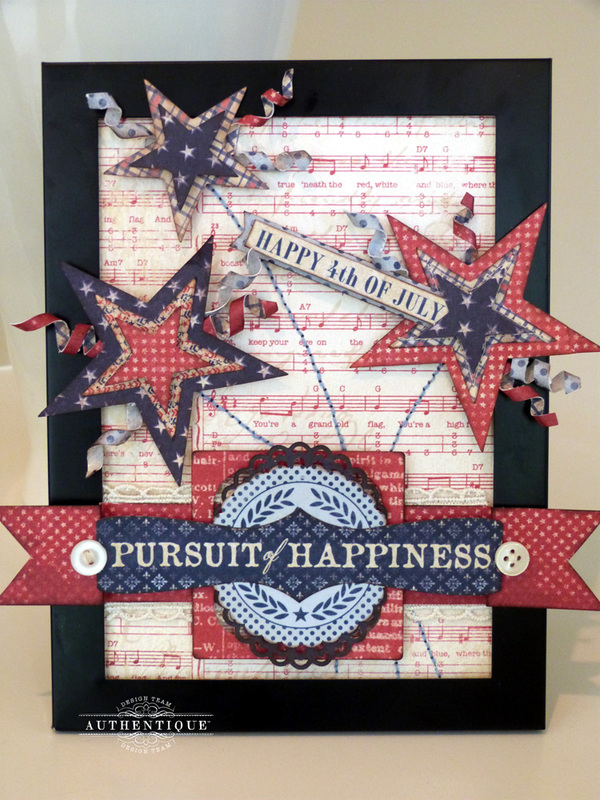 Hi everyone, it's Audrey, here today with a fun patriotic project featuring our beautiful new collection, Pride. One of my favorite things to do is to decorate my home for every holiday and season, and I always love to add some handmade items to my decor. I knew as soon as I saw Pride that it would be perfect for an Americana frame. I think this is going to look great dressing up my front entryway table for the 4th of July. 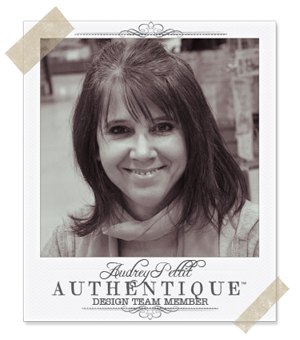 By removing the glass from an old frame, I was able to add lots of depth and dimension to my home decor project. 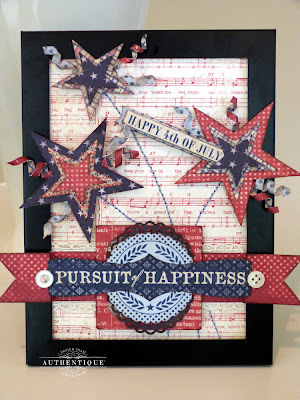 And with the help of several die cuts and a huge choice of fabulous Pride stickers and embellishments, this project came together in a snap. First, cut a panel of patterned paper to fit your frame. Then lightly draw three arced lines in pencil spanning the background for the star bursts. 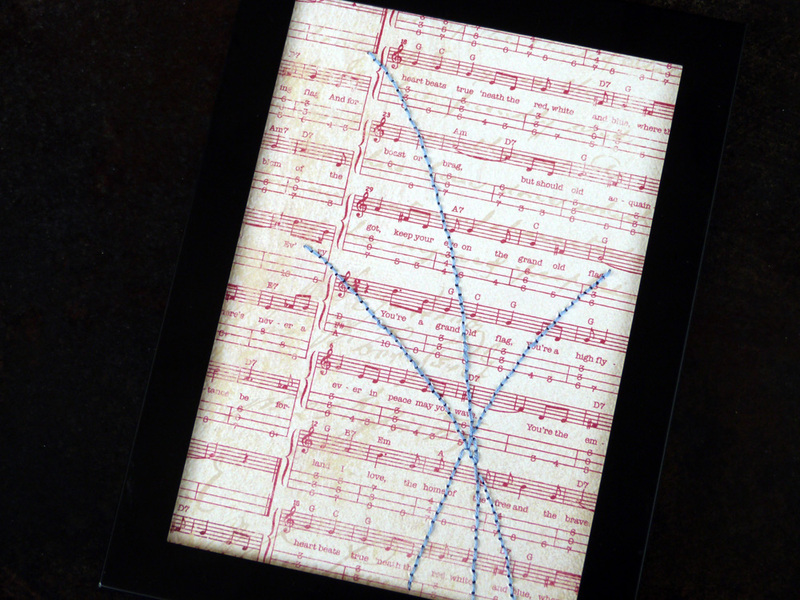 Using a needle or paper piercer, pierce evenly spaced holes along the arcs, and hand-stitch with embroidery floss. I really love all the prints on the Pride patterned papers, and wanted to use as many as I could for this project. 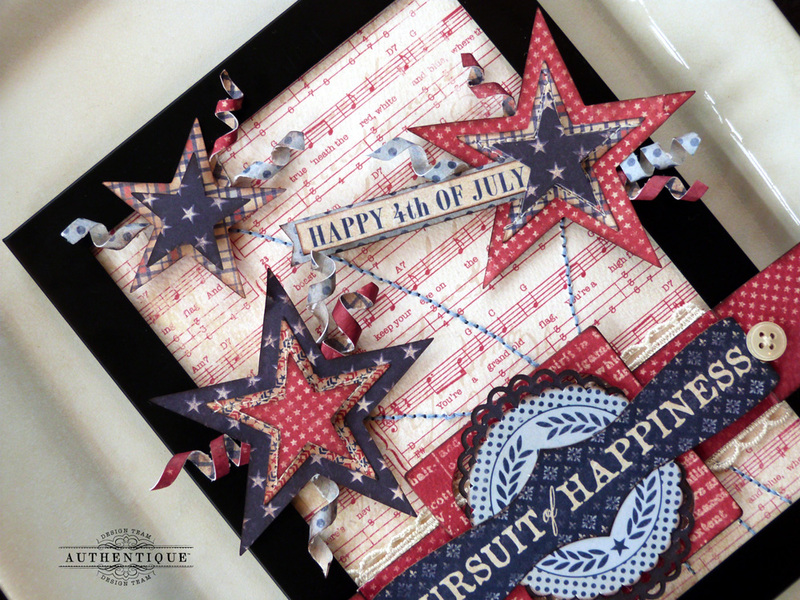 So I die cut lots of stars from various prints and layered them in different arrangements for visual impact. Adding machine stitching and using foam dots between some of the layers help the stars really shine. I swiped the edges of the papers with brown ink for a shabby chic touch. 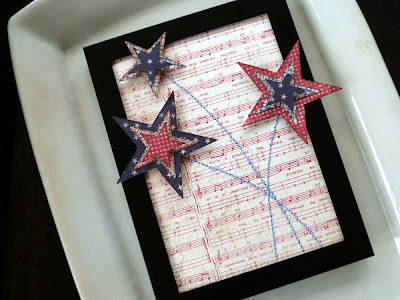 Once the stars are adhered in place, add a banner strip of patterned paper across the bottom of the frame and layer on the cardstock stickers. I added die cuts behind my stickers for a bit of extra framework. Add buttons and a Happy 4th of July banner. And for a final touch, twist thin strips of patterned paper around a wooden skewer to create curly-q's, and tuck around each star. 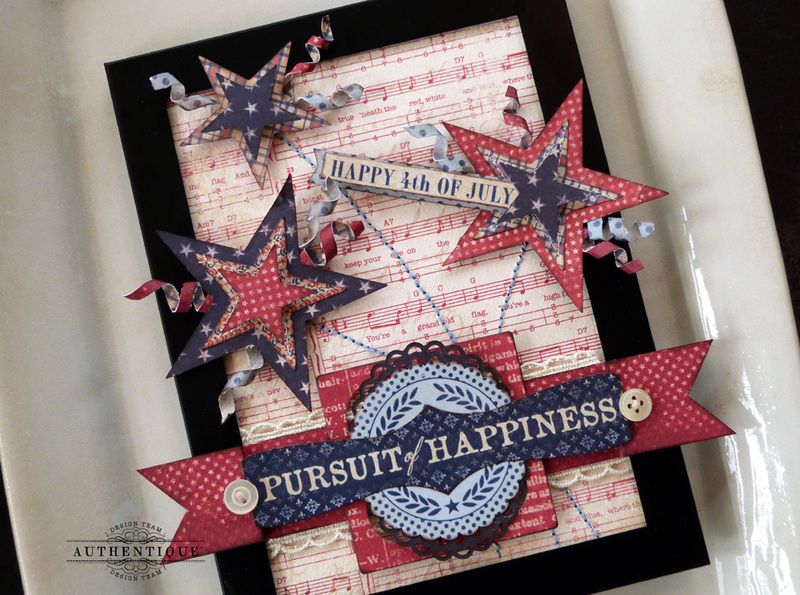 oh wow, I adore this card...I totally luv all things Americana and this makes my heart skip a beat...sweeeet! Very cool decorating. Would make a fantastic card too. How creative you are! Very gorgeous project. I love all the dimension and layers. Its stunning for your home! What a beautifully done patriotic piece!! Love all the layering!! Gorgeous-looking forward to getting this collection so I can give this a try. 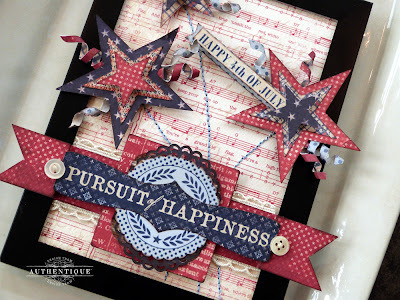 Love this paper line and your project - thanks for the mini tutorial too! This so USA...I love it!! Beautifully done!! I love it !! Just got some of this Pride Collection; haven't created with it yet ... but it was calling to me ... LOL ! Wow----this project is just spectacular!!! Love how you did the dimensional aspect....looks fantastic! very cool and i like that you took out the glass and used just the frame, great job.